The integration of Sri Lankan and Anglo-Celt Australian cultures has been navigated in this home. We see the Christian and Buddhist traditional influences throughout the home in rooflines, colour themes and garden design. Notice the angled roofline and eaves and the pitch of the roofs. The interior is a blend of rich Sri Lankan hues amid neutral tones, qualities which all arose out of establishing the design brief with the clients. 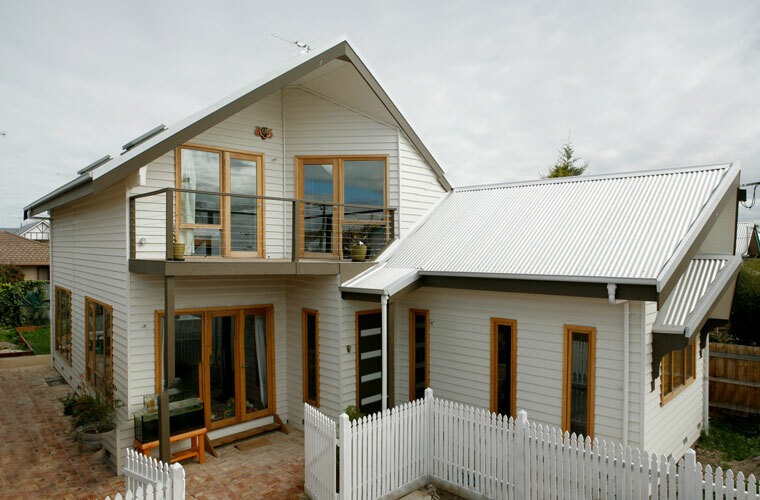 Energy efficient elements include position of living areas to the north, double glazing, cross ventilation thoughtout the home, water tanks, recycling of grey water and use of solar panels. This entry was posted in Architecture and tagged ELLEMOR DHARMABANHU on May 27, 2011 by admin.